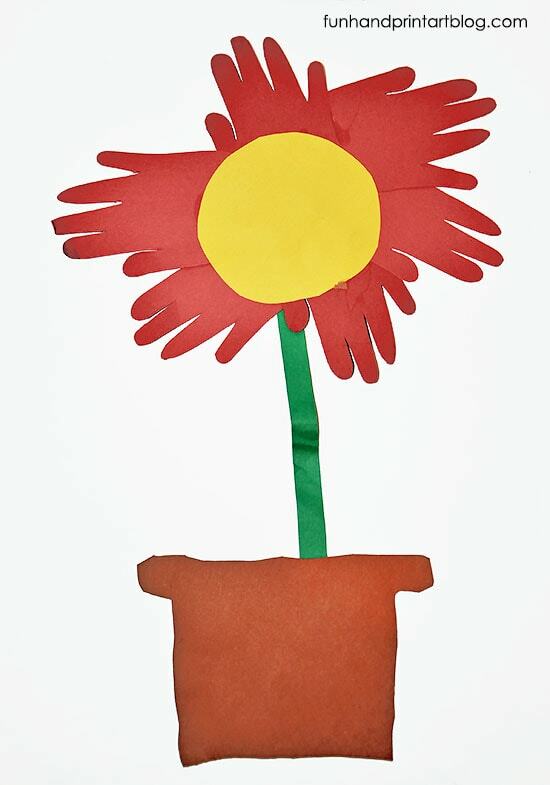 This fun flower made from traced hands makes a fun Spring craft for kids of all ages. My little guy made this one in preschool a couple of weeks ago. A n awesome book suggestion to pair this flower craft with is, The Tiny Seed by Eric Carle. *This post contains affiliate links. Please read our full disclosure for more on this. Preschoolers and kindergartners will practice using scissors by cutting out a green stem, center for the flower, and a flowerpot. Then have them trace their hands (help if they need help) and then cut the handprints out. They may or may not get bored cutting out all those hands so you may need to help them with this part. 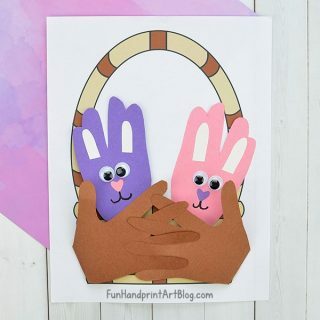 Toddlers who don’t use a scissors could color their handprints and flowerpots so that they are still involved in the craft and an adult or older child could do all the cutting. I think it would look great with even more hand cutouts too! Maybe the front being one color and then a circle of hands in a different color in the back. 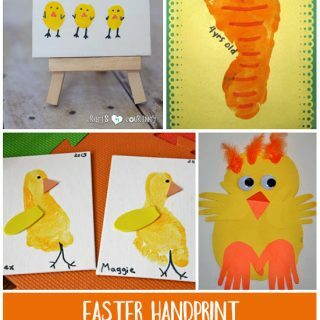 Painted handprints would be fun too! The book takes you on a journey through the life cycle of a flower. It starts in Autumn with the seeds and goes through all the seasons. It also tells the frustration of one in particular who doesn’t grow as fast as the others. Eventually, it comes full circle when those flowers release seeds and the seasonal cycle starts over again. This book is well loved by kids. They always seem to be fascinated and captivated by the story as well as the illustrations. Oh this is lovely. Great idea for Mother’s Day. Thanks for linking to the Sunday showcase.